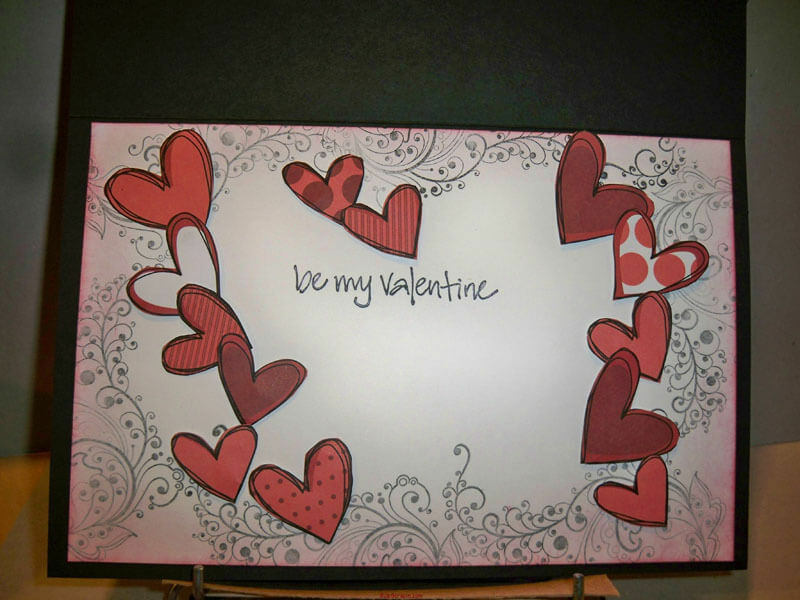 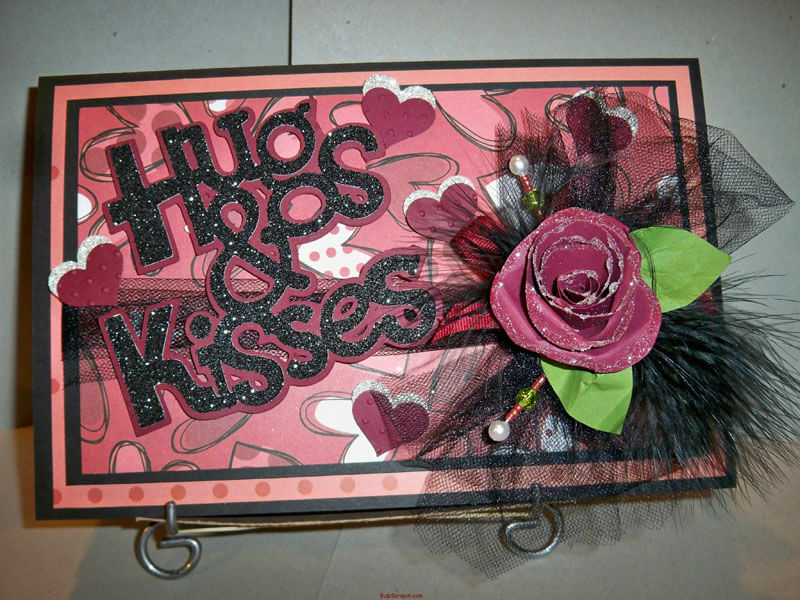 I was asked to make a nice Valentine’s Day card for a friend and this one is big 12 x6 and because it would not fit in a envelope I had , I had to custom make it too ,it is more like a box envelope ,I love how it turned out. 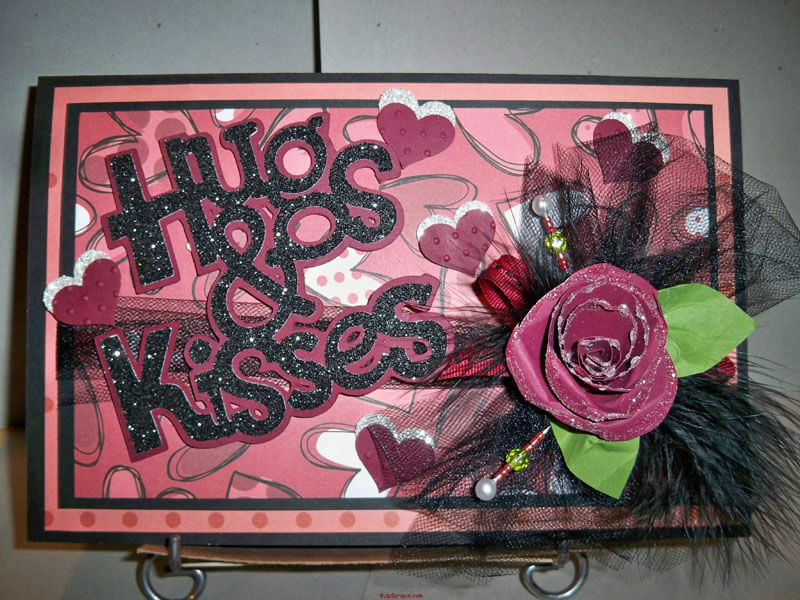 I used my cricut to cut the hugs and kissses from the Sweethearts cartridge cut at 3 1/2″ the bottom layer is the shadow layer cut in red and the top layer was cut in black glitter paper , i put a black tulle bow and made my rose from a 3.5 x3.5 scrap paper and then i coil cut it then rolled it into the rose , glittered the edges of the rose , hand cut the rose leaves and crumbled up the leaf to look olds , I added handmade hat pins and black feathers to finish the look layered it on a bow that is dark red with black running thru it .Hearts were cut with a punch once from silver glitter paper and then from dk red and the i used my swiss dot embossing folder to add texture. 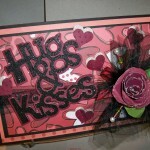 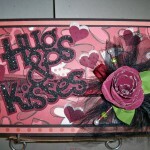 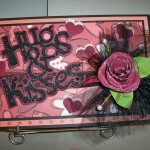 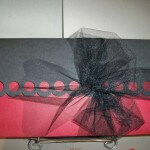 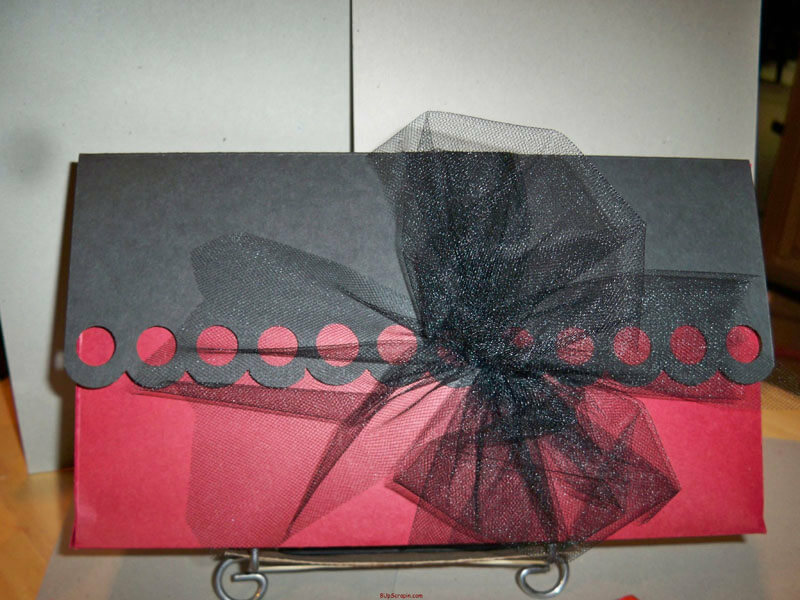 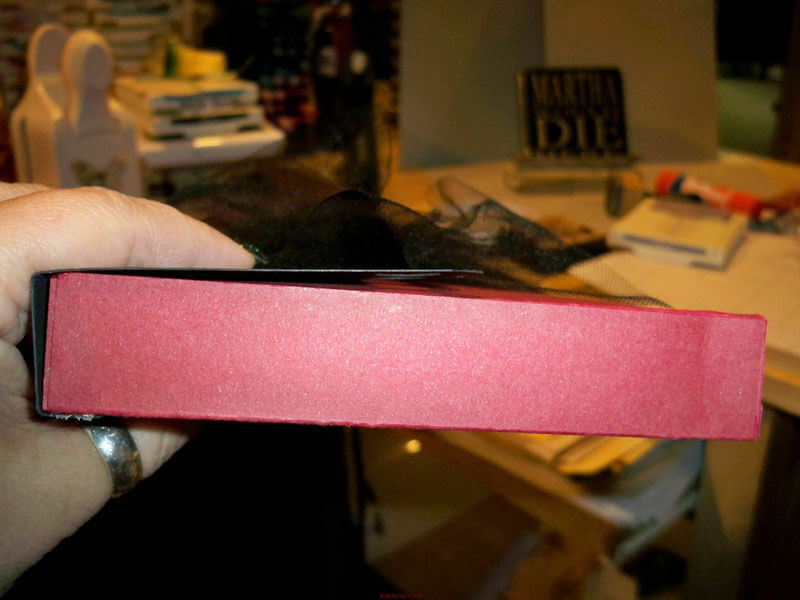 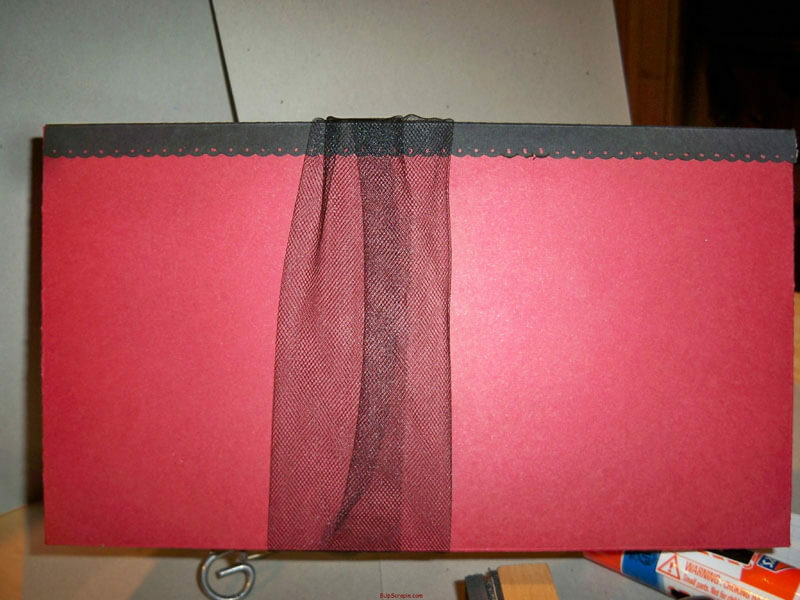 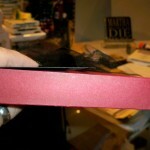 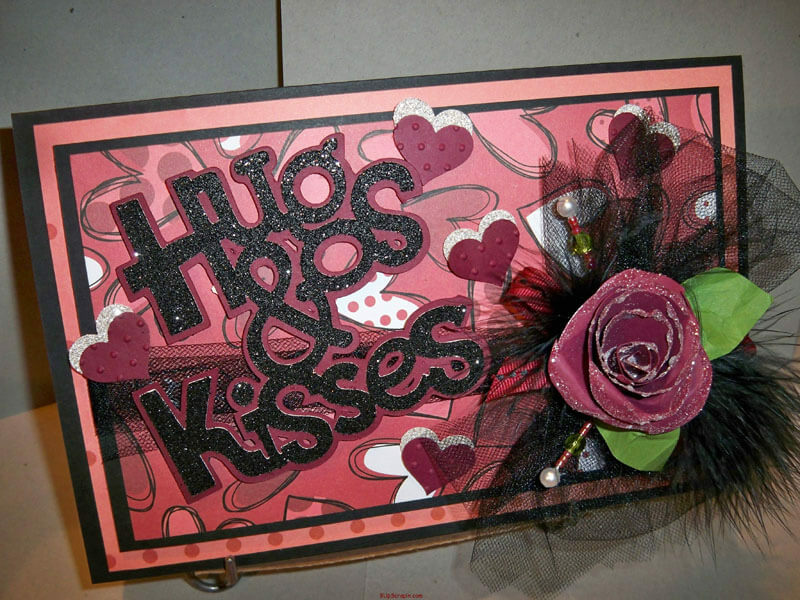 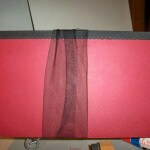 This card was so thick it would not travel well so I made a card box / envelope and tied it shut with a black tulle bow . 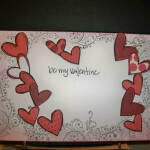 I love how this turned outand I hope you enjoy it .. PS the friend I made it for loved it .